If you speak English, you need to focus your French learning on the most frequently used English phrasal verbs. Learn how to communicate in French the meaning of the 100 English phrasal verbs you need for everyday life. This audiobook will provide you with the 100 English phrasal verbs you have to use first to get around when traveling or interacting with French speaking people. The phrases are presented in a very simple fashion. No complications. Straight and simple. 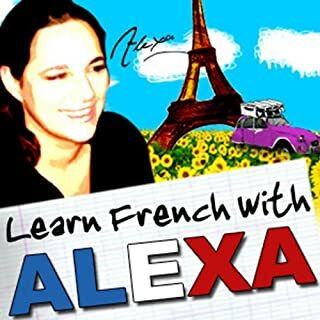 Alexa Polidoro, the Internet's favourite French teacher, presents a new series of mini-lessons for people who wish to improve their French without any pressure, in fun, relaxed, and manageable chunks.